Ever since I was an awkward, unsure, adventure-romanticizing teenager, I have wanted to write a book. I used to have penpals that I corresponded with when I was living in India, and whom I continued to write to once we moved to Vermont. I started writing to penpals when I was about 10 years old, and continued until I was almost 18. I remember sending out letters when I was 17 to all of my penpals, requesting that they return to me any and all letters I had written to them over the years. It was really fun reading all of the letters I had written over the past 7 years. But I did not write an autobiography at 17. Now, at 30, with a baby in my belly and an incredibly supportive life partner who not only provides me with daily encouragement, but also with a typewriter, I am finally ready. After suffering a concussion more than 2 years ago that still affects me today, I became very aware of how hard computer screens are on me. They affect my eyes, my brain, my energy levels and creativity. I was sure I would not be able to write a book on a computer. It would be torturous. I was also sure I wouldn’t be able to write a book doing long-hand, because my wrist was sure to quickly cramp up and die before too soon. That’s where the typewriter came into the picture. Except I hate the idea of wasting paper. “Oh, but we can get recycled and/or renewable resourced paper,” Addison assured me. “Yeah, but there’s still all the energy that went into making the paper, and then our energy through money to pay for it,” I would say. What was even more infuriating about these pieces of mail, was the ‘cover letter’ at the front of each letter, which was basically just a blank piece of paper with my name and address typed into one corner, and big words typed in the center that said “Cover Letter.” What purpose this piece of paper was serving was beyond me. And that’s when junk mail, bills and cover letters became exciting to me. The transformation within me was subtle, like a plant growing quietly off in the corner of your house. Now, whenever the mail comes, I eagerly tear open the credit card offers and phone bills, gleaning the papers from it that have blank backs. 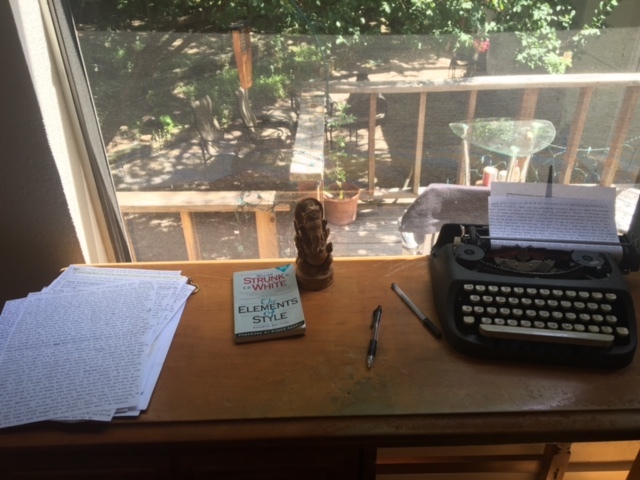 And every day, I write for an hour on the typewriter, filling the backs of these pages and feeling no shadow of guilt whatsoever about wasting paper. Occasionally I hit a jackpot when Addison messes something up with the printer and hands over a stack of single sided pages that he can’t use. Life really is just about how you look at things, isn’t it? 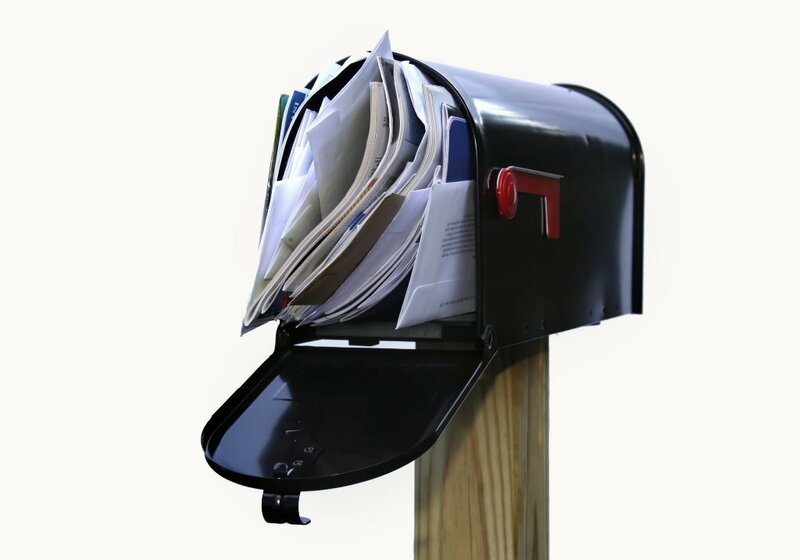 I used to feel irritated at the sight of junkmail, and now I feel excitement, anticipation. Thus begins the story of transforming junkmail and bills into a story! This is a really cool story. You found a way to transform a negative into a positive. That is very smart and creative! I love that you are a. using a typewriter, and b. using junk mail. For the second time in your life. Remember when we were kids and we used to play ‘office’ by using our dad’s junk mail?! Yeah, that was so fun! I feel like a kid playing with junkmail again! This is really clever! The definition of recycling and “waste not, want not” philosophy. Well done! Re: computers, I don’t know how often you need/have to use one, but perhaps computer glasses could help with the strain? (you can look at a brand called Gunnar.) I use them regardless, even though I don’t have eye problems and they help a lot. I recently got Kirtan to start using a pair as well.